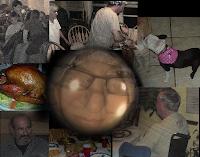 Had a great Thanksgiving dinner Friday evening with my nephew herding his two boys, and his two nephews, my sister, her husband and their puppy Gracie, both of my brothers, and my brother's cat Butterball. I took extra pain medication so I could eat something and join the celebration, so I had a good time in spite of The Belly. The Headache is behaving itself this weekend - so I am only facing pain on one front rather than two. My brothers did all the cooking and cleaning up. My younger brother was the chief chef, with my older brother bringing up the rear with support and deviled eggs. All I did was try to straighten up a bit of the house, dust and mop floors. 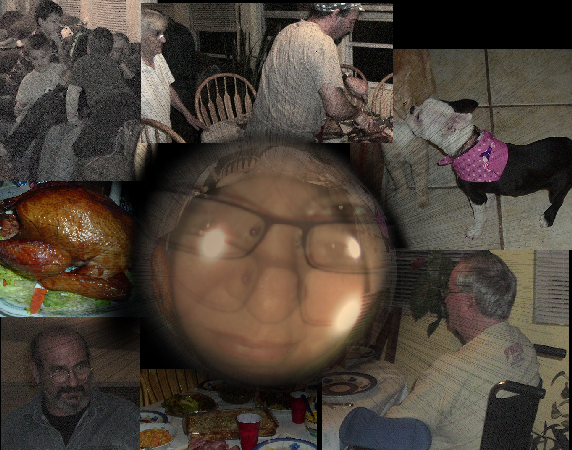 Very stress free Thanksgiving, everyone had a good time and relaxed and my niece-puppy Gracie was the belle of the ball. She had my great nephews rolling around giggling because she wanted to kiss their ears! I have to say I have a bunch of well behaved young gentlemen in the family, they were very considerate of their old great-grandmother and great-aunt! It's four AM on Sunday, and I haven't slept a wink. I have a slight feeling of anxiety and forboding, and I'm not sure why. My heart seems to be racing a million miles an hour, and The Belly is rather painful. Maybe it is the pancreatitis since I have been bold enough to eat some real food the last couple of days. Maybe its because I seem to have won the battle of The Headache, only to lose the battle of The Belly. I'm discouraged, but I haven't thrown in the towel yet. I refuse to believe the only solution to The Belly is to take pain killers constantly, which is about where I'm at now. On bad days the pain killer I am using (tramadol) does not seem to be quite enough. Surely there is a way I can manipulate the pancreatitic enzymes I am taking to have a more pain free life. Maybe there is a peripheral nerve zapper just for the pancreas?? I can only dream. My brothers are so kind, this week they are taking on the task of Thanksgiving dinner. We won't be having it today, but tomorrow night because one of my brother's son and grandsons will be coming over, and my sister and her husband and their very very spoiled extra cute puppy Gracie. Pictured is the turkey, which my younger brother is smoking today - apparently it is a many hour process. 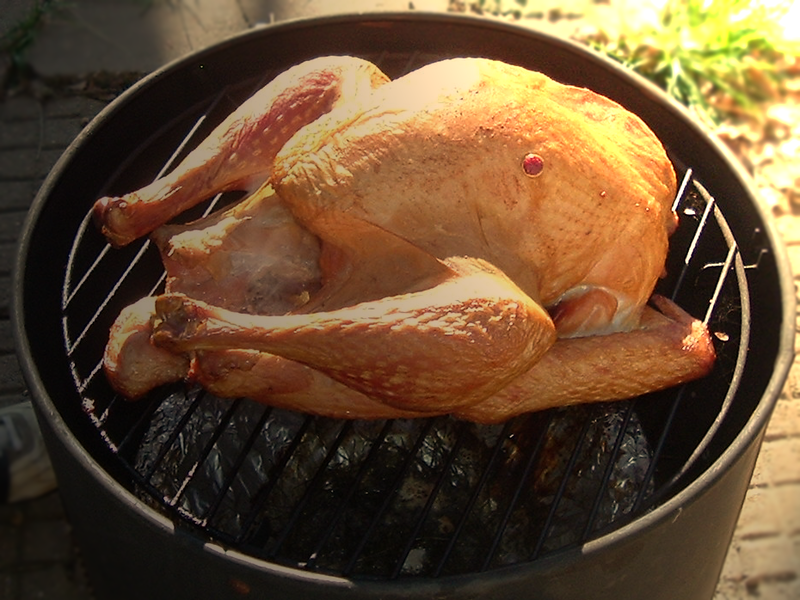 It has been smoking with apple wood chips for about three hours so far, but apparently won't be finished until this evening sometime. He said it will be color of dark mahogony when it is complete. On the menu is a spiral cut ham, smoked turkey, home canned green beans, "party" potatoes (my brother from Cedar Rapids says its a staple there), relish trays (a tradition in our family), deviled eggs (my older brother's specialty), and homemade cheesecakes (chocolate/carmel turtle and kiwi varieties) raisin pie and black walunt chocolate pie. I am trying to clean house today, but am just going to do what I can do, and that will have to be what it is. I have stayed home all week, working from home more each day. Monday was especially bad, but each day is getting better - I was able to eat a small portion of meat last night! Woo Hoo!!! Hoping I can eat some Thanksgiving dinner tomorrow. Silk quilted coverlets so warm and light! The list could go on and on, but I've got to try to clean some more. I was resting a bit to write this and now I feel that I can return to picking up, sweeping, dusting, and mopping. It's amazing how dirty the floor seems to get when you can't keep up with your weekly routine! Not too great of a weekend. This latest pancreatitis exacerbation has left me with fatigue that won't stop and pain that won't let me sleep. I am going to take another trammadol in a few minutes to see if that will let the mind/pain connection break. Am drinking a lot of Ensure, it's really expensive. I think it would be cheaper to have alcoholic pancreatitis so I could QUIT buying something instead of adding to the pile of remedies. The Headache is behaving itself this weekend. I've had to change the stimulator settings a few times, but it's done a pretty good job. I've not had to medicate for head pain at all, with The Headache staying at a tolerable 3 out of 10. Thinking of migraines and how mine followed my monthly cycle and disappeared with the removal of my ovaries. I was wondering if your body's natural endorphins (I know of one dedicated cyclist that works dreadfully hard to maximize her natural endorphins) are effected by ovulation and menstruation. Endorphins are your body's natural pain killers. I found a research article by Kathy Lemley of Marquette concerning the relationship between excercise, endorphins, and pain perception. She states on page 12 that a study found that certain endorphins are slightly lower in the luteal (last) phase of the menstrual cycle. This stage occurs after the folicle stimulation hormone (FSH) and luteinizing hormone (LH) spike dramatically with ovulation. Strangely enough, drugs which are used for fertility treatment to increase FSH & LH levels have a less common side effect of severe, throbbing headaches. A study in Egypt showed a correlation between higher FSH and LH levels with female migraine patients vs. controls. Male migrainuers exhibited higher FSH levels than the controls. Since perimenopause/menopause can cause extreme fluctuations of reproductive hormones, I wonder if this is why some women experience flares of uncontrollable migraines during this period of their reproductive lives, while others get complete relief of migraines. I also wonder if there is a connection between LH and FSH and migraine severity and controllability. There is also a corresponding spike in progesterone levels in the luteal phase, and I know from the type of endometrial cancer I had that I did not have proper progeterone levels. Didn't see a lot of literature out there, perhaps this has been explored and found to be a dead end? Strange roads the internet leads you down some nights! I will probably wake up in the morning and wonder what wacky drug mediated thought process was going on with this post! Hope you all have a pain free Thanksgiving week, and safe travels, and that your migraines will behave! Was feeling very sick after the "gastric emptying test". Called the doctor who performed the test, talked with his nurse to ask if I should feel so sick from the EUS or the GET. She couldn't give me any feedback, said first the doctor would need to review my records and THEN she could call me back, but it might be a few hours. In the meantime I just felt sicker and sicker. I called her back and said I was going to go to The Emergency Room or to Urgent Care and not to bother. I went to the ER, figuring I would get my test results back faster. I then had to explain 3 times that my doctor's practice in Springfield referred me back to Dr. Gnome in St. Louis who then referred me to Dr. Hawkeye in Joplin. The puzzlement on their faces matched mine. They all asked why?? and I replied why indeed?? No answer from me to explain it, it just was. My lipase was highly elevated again - over 1,000 which for some people can go higher - but that's pretty high for me. That explained the sick feeling, the nausea, and the pain that just won't go away. That was Tuesday afternoon. I got released today, Friday afternoon so a three day stay. I was admitted to the hospital, and a very good hospitalist over my case, and was given many doses of dilaudid, zofran, and phenergan over the next few days. The first night I had a flare up of The Headache. I am getting used to this as part of the pancreatitis process. I vomit, the pain flares, I get nauseated, vomit again, the pain gets worse until I am so exhausted I can't even go "The Pain The Pain The Pain - bluh bleh blah blub buik" anymore. This time I had a roommate who had a much worse pancreas condition than mine, and was highly medicated because she had extreme pain and extreme anxiety together. As I was in the head down over the emesis basin mode "I'm sooo sick bug burgh bluk erk" she came over to my bed and rubbed a alcohol swab on my nose, and asked if it was all better now. I told her "No sweetie, go back to your bed and get better" and then started the "buh buck eeeyck hack" back in the basin. I was in so much pain I just bairly noticed nurses aides rushing in and escorting her back to her bed, poor girl. She was trying to help all she could even though she was in awful pain herself. She was so out of it on meds I don't think she remembered doing this. After about an hour and a half of the moaning and vomiting from me the nurses listened and added phenergan to my mix (I hadn't had any for several hours) which helped calm the throwing up portion. I only had one more episode when they stated I could have some real food like jello and broth - I guess the anticipation sorta started the stomach upset up again! This time my room mate had been transferred to another hospital so I didn't get any alcohol swab on my nose to make it better. I did gain a very nice older lady as my roommate and it was her first goround with pancreatitis. She and her husband were married 58 hears and showed a restored Model A at various car shows, a very interesting lady! The first night the night nurse came over and had a discusion about my occipital stimulator and migraines. She had 3-4 uncontrolled migraines per week, I said I couldn't see how anyone can work with that many. The next night a different nurse was over my section, and a different person was moaning "I'm so sick" and I heard one nurse say to another - that's room 7xx (my room) she was like that last night, so I stuck my tongue out at them as they marched by. Got a lot better service than the usual 1.5 hour wait from the time you hit the nurse bell until they show up after that, guess they got caught talking out of turn! The Belly pain has never really stopped for some months now, and it is now pretty severe. The dilaudid just barely controlled it. I'm finally home tonight, off all pain meds for about a day and have eaten some things today. I told the hospital that I was all better (my enzyme levels had fallen) but I just didn't report the pain remainder because there was no purpose to my staying there longer. The Belly just is not behaving properly. The worst torture they put you through with pancreatitis is that you have to EAT a REAL hospital meal and keep it down before you leave. There are two things I find very difficult to do in a hospital (maybe in my mind they are related??) 1) eat cafeteria food or any food for that matter 2) have a bowel movement in a hospital room bathroom. These may be very strange quirks, but I know I have them - there is no controlling these. I have to just make myself eat that meal and gag it down. The food isn't that bad, its just ...well, wait a minute - the food IS that BAD, not fooling myself there. As to the hospital bathroom, I just have to wait until I get home if that is possible. I verified with Dr. Gnomes office that I officially have chronic pancreatitis. There it is - a definite diagnosis of a not very good problem. The Occipital Stimulator study coordinator at the Cleveland Clinic called and wants to set a date for me to go back there. I really don't feel well enough to travel, so I will call next Tuesday (when she should be in) and see what we can arrange. The Headache is much better but The Belly is ruling the House of Pain at this moment. Dr. Gnomes office is going to call back after they talk with Dr. Hawkeye about my gastric emptying test. I don't know if there is anything Dr. Gnome can do from his surgical box of tricks. I don't think there really is - just medicate the durn pancreas for pain and keep the enzymes going, but maybe there is something they can do that is a little less drastic than completely removing my pancreas. Did my gastric emptying test today. I ate a cup of oatmeal they added radioactive markers (radioisotopes)to, and then had to lay as motionless as possible under a large sensor/scan that measured the radiation. It was pretty painful, as the pancreatitis hurts worse when I lay down compared to sitting up, but I survived. Don't know how long it was supposed to take. I had my choice of scrambled eggs or oatmeal and since carbohydrates hurt The Belly less than proteins I chose the oatmeal. They tried to make it more tasty using the brown sugar and maple flavor oatmeal, but the isotope had a sort of off taste. Maybe it was my imagination, or perhaps it was the chlorinated water?? But I made myself swallow it. The scan itself took less than an hour. I could see the scan as it progressed. If you have had a nuclear scan you will know what I mean - the radioactive substance shows up as little points, brighter where they are gathered in bunches (like in my stomach). I could see everytime another bunch of oatmeal made its way into my intestinal system. It was like glup, glup, glup lump, lump, lump. Pretty soon the intestines were lit up like a Christmas tree. I was already in pain from the test, so this evening I actually ate a bite of spaghetti and broccoli for supper. Then I was REALLY in pain! The Headache decided to pitch a fit too, but I was able to crank up the voltage and stop it from getting out of hand. Hoping to get to sleep sometime this evening. Have already used trammadol, but I don't think it is strong enough. I will take a second dose in another hour. I may have to see someone for adequate pain management and nutritional counseling if this keeps up. I probably should have gone to the ER last Friday, but I just don't have time right now to spend another three or four days in a hospital just to be stuck on IV's and heavy duty medication. I will go back on liquids tomorrow and tough it out for the next few days. I need to be at our new clients Wednesday and possible Thursday so I will just have to hold out. The guy at the radiology department said he would try and get the scan read today and over to Dr. Hawkeye for review. Not sure if Dr. Hawkeye is in the area every week, as he has offices in several cities. Got my Mom to take her pnuemovax vaccination today. It is good for five years, so I'm glad she took it. Tried to get the flu shot for her, but apparently they are out. I was put on the list to receive the H1N1 shot, but will have to ferret out flu vaccinations somewhere else I guess. I also got her to repeat her chest Xray from two months ago (they saw a spot and needed to re-Xray to check for growth). I worry that her cancer has returned in a new spot, but she has also had pneumonia several times in her life, so it could be scarring from that! Listened to a nice piece about health blogging and online tracking of health conditions on NPR. There was some discussion of transparency in healthcare. I don't think a lot of practioners really want transparency. One of the issues surrounding true electronic health records is that some doctors don't want patients to have access to everything, AND they don't want other doctors to view their practices and treatments. I would imagine those that abuse the system and provider/patient privilege to their own financial advantage do not want to have their over utilization or unnecessary testing exposed to their colleagues. A comment on one the groups I belong to got me to thinking about the odds of having so many different bizarre things wrong with me. I think in the Wheel of Fortune of health I came up BANKRUPT. 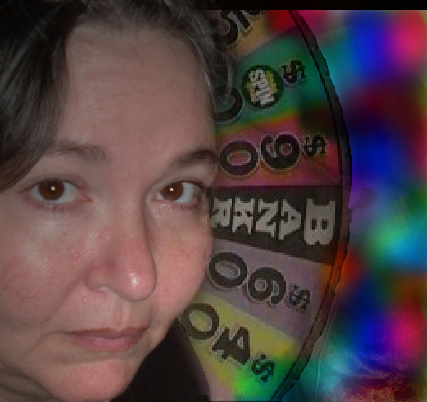 Wishing I had a Free Spin to use to see if I would have better luck on the next spin! I really really wish I could hit one of those free Carribean vacations but I don't think that is in the cards. I do have some common health problems, like far sightedness and Type II diabetes, but the pancreatitis and the hemicrania continua are a bit out of the norm. I also had Sphincter of Oddi dysfunction Type II (Papillary stenosis) which is not all that common, and multiple allergies (most specifically to myself) due to autoimmune issues including autoimmune urticaria. The majority of women with endometrial cancer are past menopause when they get it, while I was not yet 45. My colon doesn't work, and my pooper stopper is broke, AND the cankles have returned. Oh Woe! NOT THE CANKLES!!! I'm feeling picked on tonight by the fickle finger of fate. Wishing it would point somewhere else for awhile, yet I don't think I could visit these problems on anyone else. Maybe somewhere they have a diagnositic machine like you put your car through, where it can give me a 52 point diagnostic report so I can know what part will be next to go defective. I'm betting on my kidneys - mainly because I'm running out of innards to ruin! I know life could be worse, and there are those out there with real problems rather than me and my whiny attitude. But in the wee hours of the morning I have to confess that no food makes me whinier. I am going to have give myself an attitude adjustment about the food situation or lack there of. There are people in this world who have no food, and no way to get any and I'm complaining because my choices have been restricted. 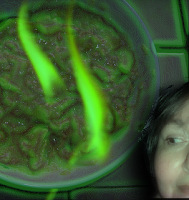 Maybe when I eat my radioactive breakfast tomorrow the real food instead of Ensure will cheer me up with it's green eggs and ham glow! I would eat them in a box, I would eat them with a fox, I would eat them in a house AND I would eat them with a mouse. Why? Because this is the third day of liquid nutrition, and I can only stand one flavor of Ensure, and I would like something with a little texture. I did sneak a couple of crackers today, and they were deeeelicious! I am always sad during deer season because we have deer on the back side of my place, and I always worry that they are perhaps a little too tame. We don't feed them or put out minerals or anything for them, as we don't want them to get too used to humans. Almost every year we have a doe with at least one fawn that lives in a little sheltered area back in a very dense area of trees. If you are very very careful in the spring you can sneak up and watch the fawn sleeping in the grass, waiting for its mamma to come back home. 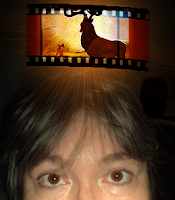 I came from an area near a national wildlife refuge, and I have seen what happens to deer when they over populate. They get all mangy, get diseases, and sometimes starve to death. I know there is a reason to harvest the deer, and back in my younger days knew quite a few people that poached deer all year long just to have meat to eat. I still worry about MY deer, and hope they don't get shot. What started me on this line of thought was the guns going off all day. It started when I was woken this morning by a neighbor or someone hunting in the area shooting what sounded like a cannon at the break of dawn. There was only one shot, so I am guessing they got their deer. Some hunters just aren't very good at recognizing deer. I had a great dane mix named Pepper (who passed away many years ago) that was about the size and color of a doe. Twice he got shot during arrow season for deer. I got to where I wouldn't let him out during deer season. The second time he got shot in the ear, and it left a permanent hole (great danes have floppy ears like a hound if you don't trim them so Peppy had floppy ears). I called it his pirate earring hole. He almost bled to death before my niece and my mom got him to the vet (I was at work) since the arrow was a razor type that cut a big X in his ear right through a big vein. I think the hunters that had buck fever and were aiming at my Peppy would have been mighty disappointed if they had succeeded in killing him. I don't think Peppy would have been very good eating, he would have been a bit stringy. 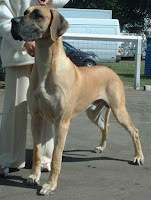 (The picture isn't of Peppy, just one I found of a dane with long ears). My sister used to live near a wildlife conservation area that allowed deer hunting for the public. During deer season she didn't let her children play outside because they had so many spent bullets hitting their house and outbuildings. I think some people just don't respect how far a high powered bullet can travel. Last year a spent bullet hit my sunroom. I'm not too impressed with these kind of hunters. They are a danger to themselves and others.....and great danes! Have a gastric emptying test scheduled for next Monday with Dr. Hawkeye. At least I am not having to wait a long time to come in. I guess he wants to check how the old GI system behaves with food. Hoping something will help with The Belly. The pain is constant, and pretty severe after I eat. I'm not eating much so I am starting to feel the effects of not ingesting enough protein. Dreading the gastric emptying test, because the description of the test is that you have to eat X amount of food that has been dosed with radiation. I don't mind the radiation - by this time I've been exposed to so much radiation its not possible to count the rads - its the eating I am dreading. My brother said the doctor mentioned macaroni and cheese. I haven't eaten that in months because of The Belly and the amount of fat in the mac and cheese. The cankles are making a comeback. The trip to KC this week was enough for my body to say YES I want more cankle action going on. I think I should invent a device that will squeeze your ankles like a tube of toothpaste thusly rolling away the cankles. I wish I could roll my legs up like the Wicked Witch that got scrunched by Dorothy's house in the Wizard of Oz and then squeeze them out like a sponge. I've been off antibiotics for a few days, and fear that the UTI infection that was not an infection has come back. I'm gonna have to get my positive groove back. I feel all whiney and wimpy. I just want to curl up in a ball protecting The Belly like an armadillo. Had my Endoscopic Ultrasound done today, at a hospital outpatient center I had never been to. The people there were great, the doctor doing the EUS was great, but the room I had to wait in after getting into a gown and getting an IV in was a headache sufferer torture chamber. The Headache was pretty bad this morning. Woke up with it already at a 5 on my pain scale. I've been getting spoiled with it hovering around a three to four most days, but yesterday I had driven to Kansas City for my immunologist appointment and I think the drive was just too much, even though my brother drove part way back for me. That appointment when great, with the plaquenil I am taking to slightly suppress my immune system working for the most part to eliminate my chronic hives. I don't have to go back for six months! Yeah for that!! The Headache was starting it's little dance with me yesterday afternoon, and continued today. The room today where they took my history and inserted the IV was brightly lit with flourescents and there was this electrical buzz that was constant. After an hour of torture I called a nurse in and asked her to turn off the light, thinking that it was a bad ballast in the overhead light. Nope. The door right behind the head of my bed apparently was a utility closet with some type of electrical device that buzzed loudly and unwavering. I asked if I could have an ax and I would open the door and chop it to bits, but the nurses wouldn't let me. I told them I was sorry they had to work with that noise. After the other patient in the holding room was taken out for his procedure, a kind nurse wheeled me over to that side as far away from the noise as she could get me. I told her I should have brought earplugs and an eye mask! Luckily after another 30 minutes of excruciating nauseating buzzing they came and took me back to the endoscopy room. I'm what is know in the healthcare biz as a "bad stick" meaning I am hard to get an IV started on and hard to draw blood from. My veins roll, my veins are tough, my veins disappear as soon as a needle starts towards them, and will dry up when they finally get something started. I'm so bad the bloodmobiles don't want me to participate as I take up too many resources just to get a pint of blood! Today I was slightly dehydrated which made it worse. The average for me is three tries to get an IV started, today it took four and two nurses. I told the nurses I was going to get targets tatooed around the spots that I know they can get an IV started, and when these become no good I will have a big X tatooed across them. They laughed. I never tell people the first time they try to stick me, as some think it jinx's them, but at the second and subsequent sticks I try to point out where we had success the last few times. I'm very patient because I know it is as frustrating to them as painful to me. They gave me versed to knock me out and I think fentanyl for pain. Unfortunately the fentanyl wore off at about 10:30 tonight, and I'm trying to calm down my aggravated pancreas with some trammadol. It's not strong enough, but it's what I have on hand so it will have to do! 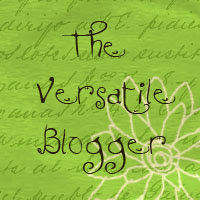 If this post is a little disjointed and my typing and spelling stink, I'm gonna blame it on the pain meds. Between The Belly pain and The Headache and the not so effective pain medication I'm not doing so great. The GI doc was quite funny and nice, but not as cudley cute as Dr. Gnome. I think I am going to call this one Dr. Hawkeye after the Alan Alda character on MASH. Dr. Hawkeye came out and talked with my brother (who was the designated diver) and me afterwards. I don't remember, but my brother said that there were no signs of tumors, psuedocysts, stones, calcifications, or necrosis. The pancreas did show up as inflammed (no surprise there!). Dr. Hawkeye thought perhaps my GI motility issues from radiation is causing malabsorption issues that are damaging the pancreas. Hadn't thought of that but it could very well be possible. The sphincterotomy was in great shape, so I don't have to have another one done to fix it (no return Dr. Gnome visit I guess). Dr. Hawkeye did not recommend any changes to my diet ( very low fat) or enzymes. He was thinking about scheduling me for another test on digestive mobility where they have you injest food and they time it through your system. My usual is about 20 minutes from entrance into the body to exit from the body. Pretty quick transit. He thinks we may be able to prescribe something in addition to what I am taking to slow this down. He didn't give my brother a diagnosis other than saying there was inflammation, but someone wrote chronic pancreatitis on the envelope that had my ultrasound images in it. I suspect that will be the diagnosis, but will wait on the final report. I'm afraid taking the indomethacin and toradol too long after pancreatitis started while waiting on the installation of the stimulator probably helped to push my picky pancreas over the edge. It was my choice to make, and I had actually tried to withdraw from the indomethacin in December last year while inpatient for pancreatitis, and the headache pain was so bad, they had to reinstate it. I guess I'm paying for decreased head pain with increased belly pain. Thank heavens for the stimulator! Hoping to go to work tomorrow. I think I have had a few hours sleep today because of the pain relief and versed so hoping I will be full of energy and vitality in the morning. The last trammadol is starting to work, so I will be going night night in just a bit. Having had the honor to work for the Department of Veterans Affairs and to meet a few remaining (at that time there were just a few hundred) World War I veterans, I just want to thank all the people who have served and who are currently serving this country in our Armed Forces. 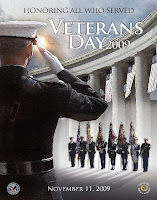 I also want to thank their families who also sacrifice so much to support their loved ones in their choice of service. 4. We should never forget the sacrifices that have been made on our behalf by service men and women, including the ultimate sacrifice of death in battle. I did discover that I'm not cut out to be a federal employee. That was the only job I have had in my life that I could not make more efficient! I loved working with the veterans (or as my New Jersey co-worker would say - Ve'erns) and was honored especially to know a WWI veteran (nicknamed "Peck") who came once a month even in his 90's to volunteer. In WWI units were made up from communities, and his unit was The Houn Dawgs, with the motto "Nobody Kicks Our Dawg". Peck was a founding member of the unit. Company M, 2nd Missouri Infantry of Aurora was called into action for World War I on August 5, 1917. While waiting to be shipped overseas, the Aurora infantrymen befriended a stray hound dog that eventually traveled overseas with them. The dog returned to Aurora with the group and the "Houn Dawg" became the official town mascot. Diana Lee at Somebody Heal Me has done it again. 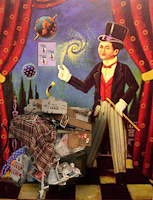 Another edition of the Headache Blog Carnival is out, this time on Migraine Triggers. Diana takes the time to do this, even when she is busy battling her own headache demons. Diana contributed a great article from her archives on headache hygene, and James Cottrill has some fantastic tips on how to read food labels. I did not realize there were so many different ways to label MSG. I knew it was often a hidden ingredient but never figured it could be labeled with all those descriptions. I managed to sneak my entry on triggers vs. symptoms in this month. 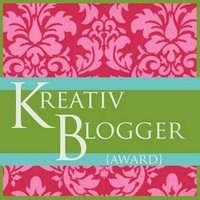 Not included in the blog carnival, but still relevant, is the blog entry on the discovery of a new food trigger by Chrissy at Through The Words of Chronic Pain. This is what inspired me to write about triggers also! I will be leaving in the wee hours of the morning to go to KC tomorrow. About an hour and half sleep last night, and already sleepless tonight. Can't medicate because of the drive. Big Sigh!! Lost day yesterday. It was my Mom's birthday, but either The Headache was making me very sick, or The Belly was. I think it was The Headache. Got through the morning OK, but the afternoon was bad. That evening my sister was kind enough to cook and host a birthday dinner for my 79 year old Mom, so I medicated so I could attend. I managed to make it through the meal, then crashed on her couch until we left. My brother drove so I could take enough medication to keep from ruining the evening for everyone else. All four of us were able to be there, so that was nice for my Mom. Today The Headache is aggravating me. Sorta payback for last week travels, poor Wilsy passing on, and trying to have a relaxing evening out. The pain is not so bad, but the thought disorganization is not good. I have not taken any medications today so figure even though the pain is not so bad The Headache is creating havoc in my brain. Worked a few hours from home this evening as I am having trouble getting to sleep. Tomorrow I work, then Tuesday morning I am in Kansas City early for the immunologist appointment, and Wednesday I go for the endoscopic ultrasound. Very tired, so I may medicate and head off to sleep soon. Trying hard not to use medication - the stimulator is doing 80% of the work medication did, but there are days I need the extra 20% to function. This day seems to be one of them. Ah well, tomorrow will soon be here as it is almost 2 AM. Working towards getting back to a normal schedule next week. I Need to get back to a normal schedule, as the new install starts my hours will increase to more than full time. I will have to pump myself up and rev the head to get it working. Maybe super glue will help me put it all back together or else I can get a pull start like chainsaws use for my brain! My brain is definitely not as sharp as a chainsaw today, and I guess judging from this ad maybe I need some diet Mountain Dew to get my brain working and to avoid ferrets?? 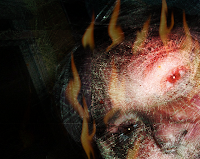 While I do not currently have migraines, I had migraines for almost 30 years. At first I did not realize what was happening to me. I blamed everything for my spates of "illness" except migraines. During a yearly physical when I was in my early 20's a doctor diagnosed me with "common" migraines, a revelation that made me realize "Idiot, all those restaurants you went to couldn't possibly have given you food poisoning every time!" Back then there wasn't a lot of material available to read about the causes of migraines, or triggers of migraines. There weren't a lot of medications available either. If caffergot didn't fix it, I was told there wasn't much else I could do except wait the migraine out. 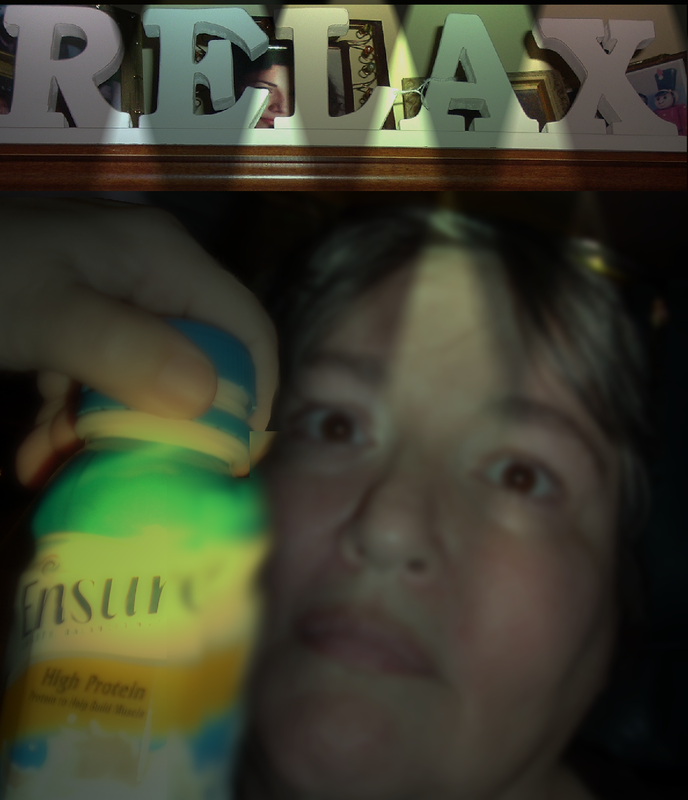 Since I never had an aura letting me know ahead of time that I had a migraine, the caffergot was not effective since by the time I realized I had a migraine my digestive system was no longer working and the pills were too little too late. Over the years I realized that certain things would bring on a migraine. Since I often did not know I was having a migraine until the pain got intrusive it was very hard to differentiate a trigger or causitive factor from a symptom brought on by the migrainous process. One of the ways I learned to test a trigger verses a symptom was to retest a suspected trigger at a later date. If the pain was recreated I added that trigger to the list of "things to avoid". Another trick was how quickly the pain became unbearable after the triggering event. If it was bad within two hours, that trigger was added to the list of "things to avoid". If I noticed something that always worsened as the pain worsened (photophobia [sensitivity to light], hyperacusis or phonophobia [sensitivity to sound],osmophobia or dysosmia [sensitivity to odors]) I considered it a symptom, not a cause. Some sorta were both - like sensitivity to odors: certain petrochemicals and certain perfumes would start a cascade of pain within 20 minutes of smelling them, which put them in the trigger category. Others, like a sensitivity to Prell shampoo only occured during a migraine which put them in the symptom category. Triggers that definitely caused a full blown migraines within two hours of exporsure for me were: raw onions, garlic, red wine, very good basalmic vinegar, mold, moldy or aged cheese, chocolate/cocoa, diesel engine fumes, WD40 lubricant, high levels of MSG and penicillin. Symptoms that were present only when a migraine was active were sensitivity to light, sensitivity to sound, sensitivity to all odors, and the inability to digest food. Migraine sufferers have so much information available to them now. There are such great assessment tools and trigger information on the web its hard to imagine the days when you had to go to a good reference library and look up everyting in 20 year old medical books. The active blogging community adds some great resources for research also, and add a personal perspective that is missing from the research libary method of information gathering. My current headache condition, hemicrania continua, does not have a triggering event. One thing does increase the frequency of severe pain and the severity of the pain and that is exercise/activity. The more I am active the worse things get. Weird, eh? Hoping you all have great weekends, and pain free days ahead. 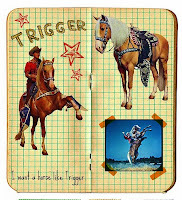 Wishing my triggers had been as cooperative as Roy Roger's horse! I was at a client Tuesday, Wednesday and part of the day today. My cat Wilson (who would have been 20 years old in December) had been failing in health the last few weeks. She was not in pain, she was just very old. This morning before I could get home Wilson passed on peacefully in her sleep. When I got home, I had to try to dig a hole to bury Wilson in my pet cemetery out back. Thank heavens my brother helped, as my soil here in the Ozarks is 90% rock and 10% soil. You don't really dig holes, as much as you pry rocks out of the ground until a hole is made. We wrapped Wilson in her warm rug and placed her near my great dane Pepper's grave, and put some large stones from the selection we unearthed to mark the spot. Wilsy was a sweet kitten, my white worm, the ice maiden who scorned all other cats and kittens but loved my little dachshund Augie. She was given to me 18 years ago by a lady I worked with who had to move to an apartment and could not keep Wilson. It took almost a year before Wilsy settled into her routine here at her home, but she was quite the queen kitty and ruled all she could survey. I shall miss her, but will meet her one day on the other side of the Rainbow Bridge. I'm sad and tired, worn out from the week, and missing my Wils. I know she was ready to go, but I am never ready to let go. Ah well, tomorrow will be here before I know it and maybe tomorrow will be better, at least I keep telling myself that. I'm not sure if everyone knows what crazy wheels are - those are the types of wheels that are on shopping carts that can turn in any direction at anytime, regardless of what direction you are trying to push the cart. You think you are directing the cart where you want it to go, but at any second one of those wheels can lock and then you are dragging the cart around the store trying to force it down the aisles. That recalcitrant cart is a metaphor for my life. I think I am in control. I do all the right things at the right times. I try to put my ducks in a row, plan ahead, be proactive. I go to great lengths to do c above - "reduce the incidence or severity of [my illnesses] especially to innocuous levels" - even fighting to find a way to get an occipital stimulator installed when I became convinced it was my best path to return to normalcy. Then something else goes wrong and since I am stuck on the path of "controlling" I continue pushing my protesting body to do what I think it should, not what it is inclined to do. The measures I take do help - such as the occipital stimulator, but they just can't fix what is broken. I'm very fatigued this month, bad times with sleep or lack thereof, very little nutrition, and lots of ouchiness from different sources, so my grocery cart is maybe a little overloaded right now! Maybe it is my hard headed Germanic heritage, but I have a hard time admitting that I am not in control. I never was in control, I just chose to believe the illusion of control. I feel like I'm rollerskating on a floor of marbles and sure footing does not exist. That Gene Kelly type of finesse, dancing in rollerskates in urban traffic, doesn't seem to exist for me but I can hope for future abilities to form. My Erpiness and Belly pain continue. Today has been minimal food day. I tried to eat a real sandwich yesterday and it didn't taste nearly so well coming up as it had going down. 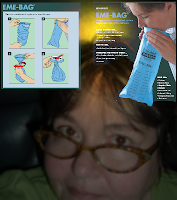 I am wishing I had some of these deluxe barf bags to take with me to the client next week. The nausea hits so hard and fast I fear erping in public. I guess I shouldn't be embarrased about public puking. 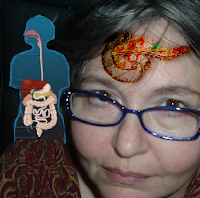 I have spewed my stomach contents in many places over the years, due to migraines. When I had migraines (instead of the hemicrania continua I have now) they were called "common migraines" or migraines without aura. They would often sneak up on me, and I would be somewhere doing something and then BOOM a full blown migraine. 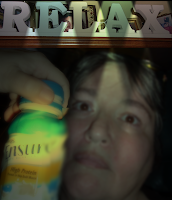 The nausea often was my first clue that I actually was having a migraine - the pain grew gradually up to the point I got reaaally reaaally sea sick and then it was a skyrocket of pain for the next three to eight hours. I have thrown up in restaurants, cars, office trashcans, public toilets, parking lots, and the side of the road. My worst experience was pulling my car over in front of this house hopping out of the car and projectile vomiting - bleah bleah bleah - and then looking up to see a horrified family having a picnic in their front lawn. What can you do? I weakly waved and hopped back in my car and drove quickly away! I had to pull over and just wait the migraine out in a parking lot down the street. Another time a friend and I were in Ft. Lauderdale and had just gotten through walking around downtown and were driving back to the hotel when the migraine hit. I warned him that I was going to pake, he didn't believe me until I started to heave - he quickly pulled the rental car over but not before I let loose on the passenger door. Eeeyou! Next time I told him I thought a migraine was coming on he listened! I may have to just starve myself at the client's and stick to strictly fluids. I have been drinking some Ensure high protein but even with the pancreatic enzymes The Belly hurts. I've done it before, so I can do it again - it just takes inner discipline. On the plus side I have lost an additional four pounds this week. Woo Hoo! I have now lost all the weight I gained from taking steroids so long last year. I go back November 10th to see the immunologists in Kansas City, and then I go for the endoscopic ultrasound of my pancreas. Hoping for pretty good news on these two fronts - my hives are actually better than they have been in two years! However my face is swollen and broken out with a rash of sorts - not sure if it is from the antibiotics or there is another reason. Hoping it goes away with the kidney infection that wasn't an infection. I have ankles again, very glad to get rid of the cankles I was sporting. Guess even tho I officially had no infection, the anitbiotic seems to have done the trick. A weekend of rest, a week of travel, and then back home again to rest. I'm tired already and am just waiting for The Belly to calm down enough to sleep. Next week is going to be a long week I am afraid. Hoping the cankles don't come back, or I may need to get "The Circulation Booster" to get rid of them!